What’s Super Mario Switch Going to be Like? Ever since the Nintendo NX was first announced back in 2015, speculation has been rife in regards to the inevitable Mario platformer for the system. After all, one was always going to be released for the system. It’s basically a Nintendo console’s flagship game at this point. And well, there’s been a constant change in gameplay styles ever since Mario 64 was a thing. Even from the little we’ve seen, it’s certainly looking more interesting than 3D Land and World ever was. For example, look at those more original level themes. Like say, the Mexican style town in the first clip. 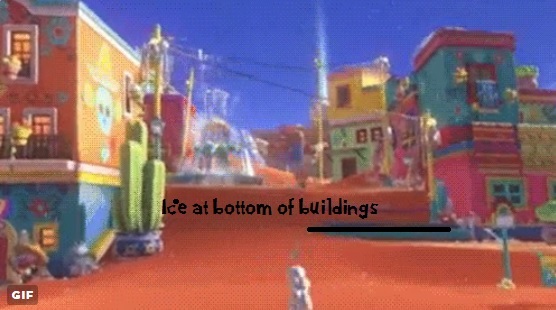 A wide open small town setting in the middle of a desert with a dancing cactus enemy wearing a sombrero. That’s certainly a new theme for the Mario series! But this level also raises plenty of questions. Namely, where is it set? Because this doesn’t look like a traditional Mushroom Kingdom location. We’ve had deserts before, and we’ve had wild west type towns before, but a Mexican style area like this one? That’s quite new to the Mario series, and hints that level themes might be a bit different this around. And the giant moon looming overhead is very different too. Does it imply the area is on a different planet or in an alternate universe? Because again, that’s not something that’s been seen in any previous Mario level. So something is certainly different about the location this game is set in. But as fascinating as an outer space locale or a less generic world theme is, it’s nothing compared to the next question. And that is whether it’s a linear game or not. Or in simple terms, if it’s more open (like Super Mario 64) or more linear (like 3D Land and World). Cause this place doesn’t look like a linear path. It seems like it’s a grounded location in a coherent environment, something which can’t be said about 3D Land or World’s levels. Add how a town is generally not a linear level setting with its doors and rooftops to explore and what not, and it gives me the impression we might be seeing something a bit more open world than in the 3DS and Wii U games. There’s also a Bowser’s Castle style area. 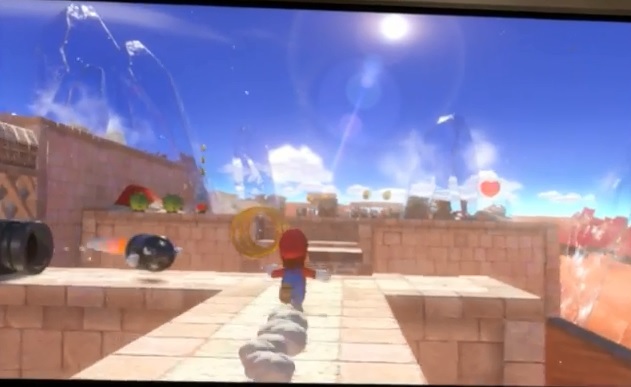 This place (set in a sandy looking desert castle near the town above) has Bullet Bills being fired at Mario and coin rings for him to collect along the path. However, while this one does look more linear, it’s not exactly out of place in the likes of Mario 64. I mean, Bowser in the Dark World was certainly linear, right? As were the Bowser levels in the Mario Galaxy games. Or Corona Mountain in Super Mario Sunshine. So linear levels aren’t unexpected in a more open platformer. Every 3D Mario game has had them after all. Hence this could just be a Mario 64 style game with 3D World’s engine, not a hybrid. Because let’s face it, the engine does look fairly similar here. We’ve got Mario 64’s triple jump, sure. And the long jump seems to be present too. 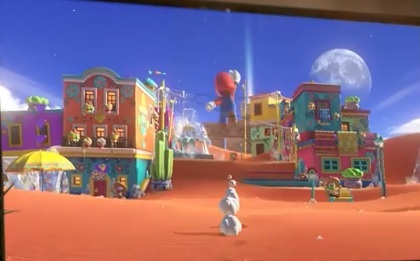 But Mario’s jumping animations and physics look to be taken straight from said game, complete with the fire round his feet as he charges forward. So while it’s been expanded on, the core engine seems to be like in 3D World. So it seems like we’ve got an open town level and a linear Bowser level in a Mario 3D World style engine. Yet that’s not all we’ve got. Oh no, it also seems like ice is a bit of a theme here as well. You can see it on buildings in the hot desert town. You can see it near the fountain. It’s everywhere, and it makes absolutely no logical sense given the setting. Which implies something odd is at hand here. Is Bowser (or a new villain) freezing the world with magical ice powers? Does it mark the return of Chief Chilly, Baron Brrr or the Crystal King? And regardless of whose behind it, what do they hope to accomplish here? Well, something interesting presumably. That gives me the impression that Super Mario Switch has a new story or ‘main concept’ going through it. Like how Super Mario Sunshine was on a tropical island with FLUDD or how Galaxy was set on various small planetoids in space. That it’s not just ‘save princesses from Bowser’ or ‘explore the Mushroom Kingdom again’. 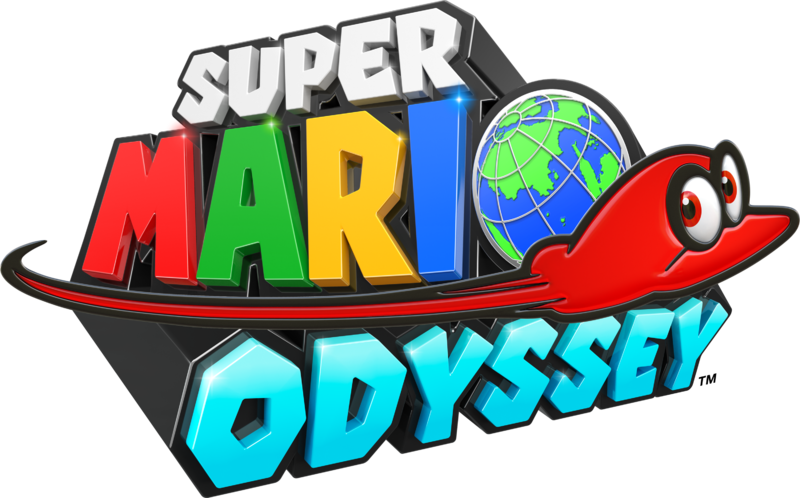 That’s all very interesting seeming stuff, and it sets up one of the more ambitious Mario games in the last few years or so. But do you know what’s more interesting still? Whether the game has multiplayer. Like again, in Super Mario 3D World. Because based on the trailer, the answer seems to be yes. Why? 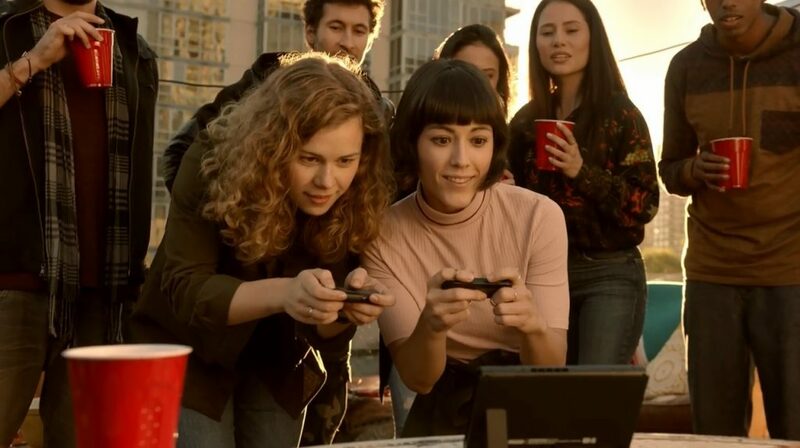 Because when the woman in the ad goes to the party, she takes the Nintendo Switch with her. Fair enough, that’s the concept of the system after all. Hence because of this, it seems like Super Mario Switch might retain the multiplayer functionality from 3D World on the Wii U. 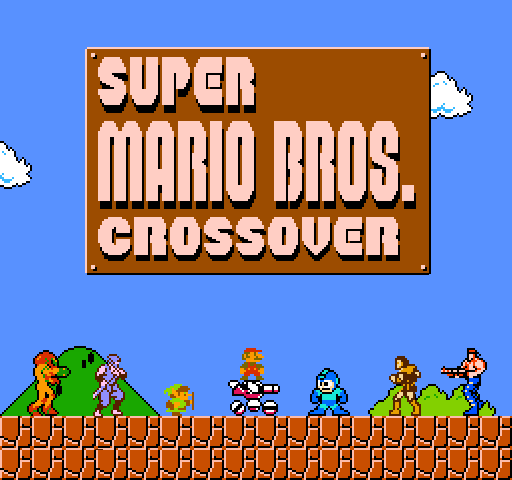 If so, this would make it the first non linear Mario game to have full co-op multiplayer functionality, and bring back the one key thing Super Mario 64 2 used to have going for it when it was in development. So yeah, even the one trailer opens up a ton of exciting possibilities here. Congrats Nintendo, you may have made the most interesting Mario platformer in years! As long as its along the lines of Super Mario 64 or sunshine, I'll be perfectly happy with it.